I've order this flavor a couple times and haven't been disappointed. 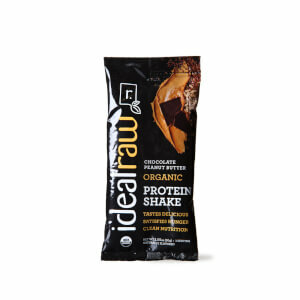 Breaks up well in a shaker. Not too sweet. Has this nice oatmeal type of flavor. I think it's delicious. Way better than vanilla. Vanilla is way too sweet. Leave that artificial stevia flavor in your mouth. I will be sticking to this flavor. I normally love berry flavored things but this was overwhelming. I did find it was semi bearable if you mixed it with chocolate almond milk. My husband and I both did not like this one. Not my favorite flavor. This one is a little chalky and grainy. The Chocolate peanut butter and chocolate are not that way, but this one and the Vanilla are. It does have good ingredients in it though, so I try to drink it down anyway. I will have to try to mix it with some fruit and maybe that will help the texture. I had high hopes for this flavor. Unfortunately it was not as good as I hoped. The flavor tastes good but it is VERY mild. It will likely be better added to a fruit smoothie. Also it does not dissolve in a shaker as well as other flavors from this brand. It’s very thick. Would I buy it again? There’s still a chance I’d buy it again but I don’t recommend it alone with water. 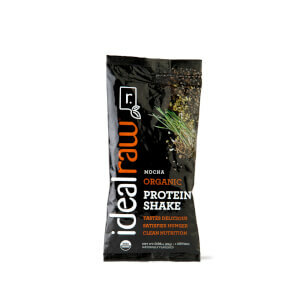 I enjoy this flavor though thicker than other flavors so great if using it as a meal replacement mix. I’m not vegan but I love this plant protein. I drink it while nursing too. The thought of drinking my protein encourages me to get my workout in each day. I personally put more than the recommended water in as I add the Superfood mix to it. Superberry is great tasting, makes my green smoothies taste so much better, I highly recommend giving it a try! This is my first purchase of ideal raw and overall I"m happy with the product. This flavor isn't bad but it seem a little gritty. I purchased the sample pack and would probably purchase chocolate or chocolate PB over this berry flavor. Seriously delicious! No bloating and not too sweet. I've tried other flavors and this one is my favorite. Taste like lightly sweetened oatmeal. As a breastfeeding mom it's very important to get enough vitamins and proteins, this helps a lot! Would and have recommended this flavor/product to everyone searching for a protein powder. Definitely the best flavor they have yet! I was skeptical to try this flavor because I like the chocolate so much, but the super berry is so good!! I really like the creaminess of it and that it’s subtly sweet. It will definitely be my new go to!